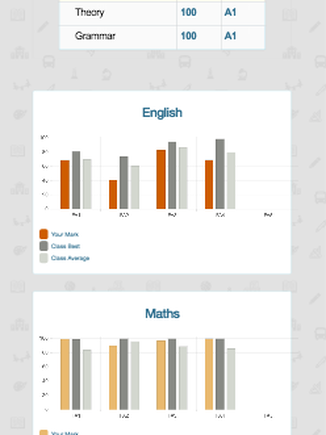 Detailed CCE reports along with grades/marks on every subject/topic/sub-topic along with class best and class average to find where the child stands in the class. Detailed timeline of every child, from entering the school till the child is picked up by the paretns. Food schedule, Medicine/Diaper/Resting details. 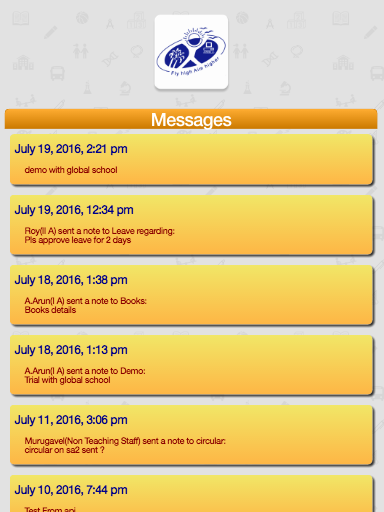 Multiple configurations in which parents can configure Teachers directly or just admins where in the messages are delivered to their app to get their attention. 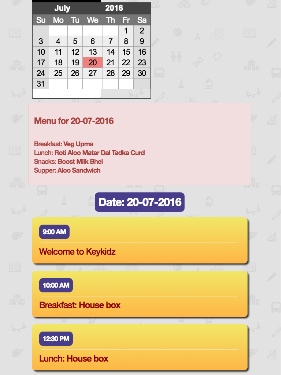 School and class calender, with push notification for new event additions/deletions. 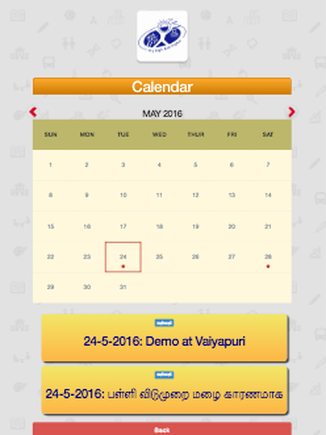 Every invitations can be attached as photos on the calendar item. Class homework from the class teacher. 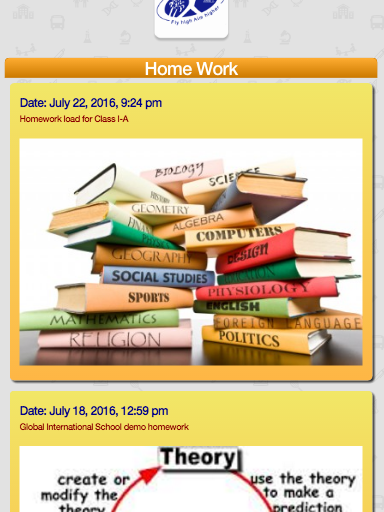 Parents who aren't using smartphones, the home work will be sent as text messages. 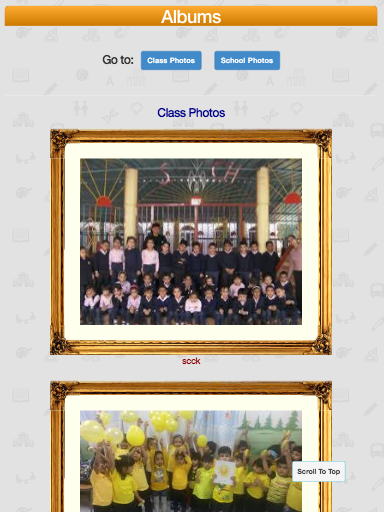 Flickr Albums for school and class photos. 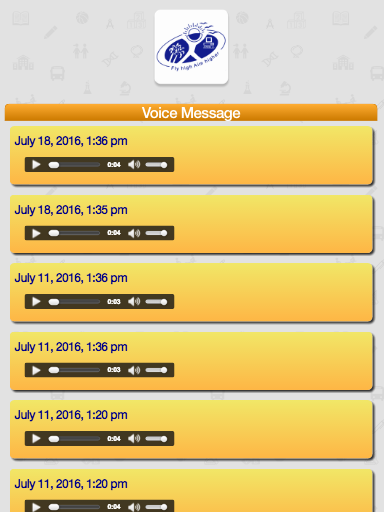 Unlimited Data Call in Bulk from School to parent's (multiple) phone. 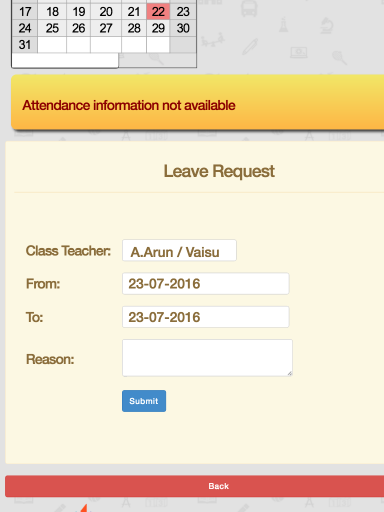 Online leave application, Principals/Teachers can approve reject. 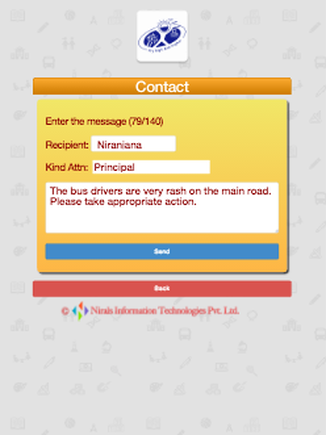 Leave/attendance information of kids on the finger tips. 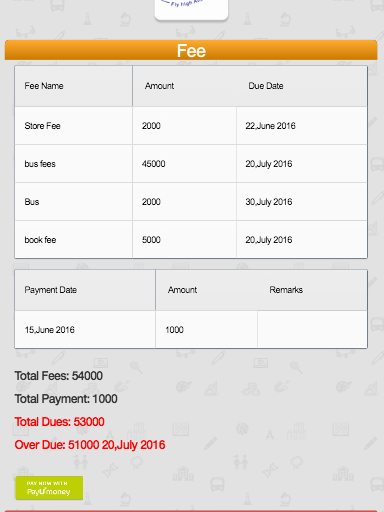 RFID/NFC based attendance. 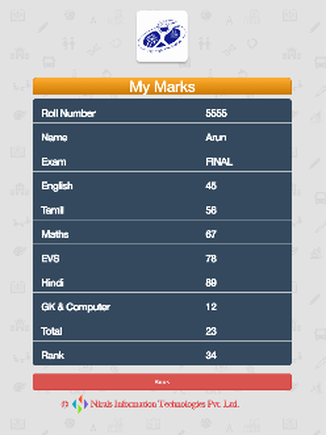 Attendnce reports, Grade sheets etc.